Walk in 3 bedroom Cabin in the Woods! At the Grande Mountain Cabins. 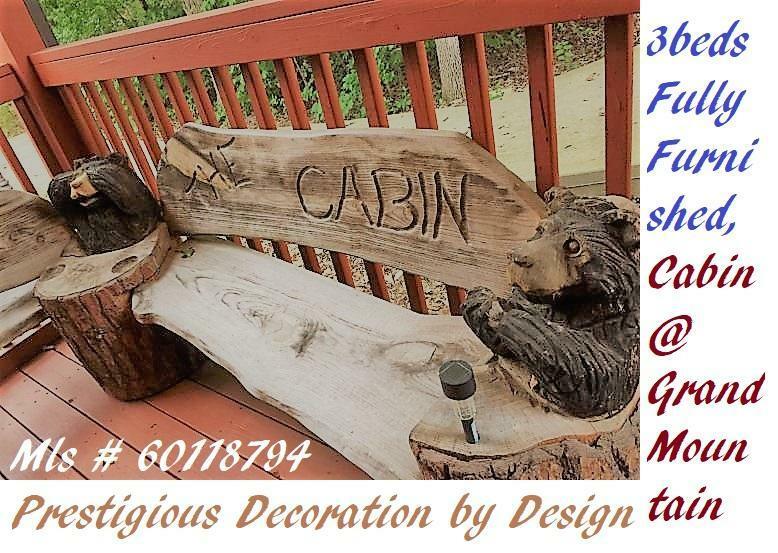 Right in the middle of busy Branson, but secluded, in the woods, quiet and your cabin away from it all! This one is extra special with a great attention to details in the cabin furnishings! You must see as the pictures don't do it justice! Walk to the strip from here! Enjoy the wildlife that stroll through! One master suite on main level with full bath, fireplace, dining room, screened in porch to enjoy the nights! Upstairs, huge loft bedroom, and, another master suite up!